I took a half-day off from work today. When I do this, I generally prefer not to drive too far. 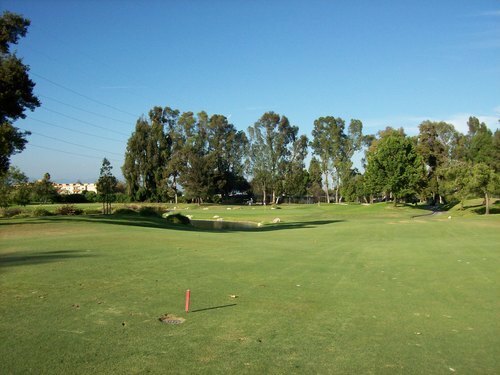 But since I’ve kind of run out of Orange County courses to check out, I have to keep expanding my “reach” every so slightly in search of new tracks. 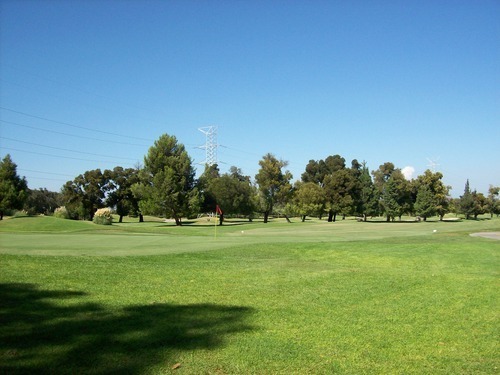 After scouring GolfNow yesterday, I found a 1:48 time at Rio Hondo Golf Club in Downey. 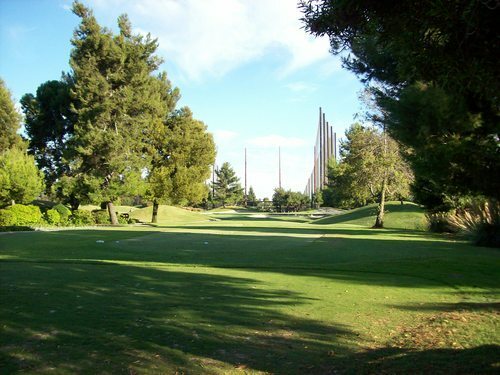 It’s not too far away and the price ($32) was definitely right for this course that is generally over $60 on the weekends when I normally would play. I figured it was as good a time as any to finally check it out. 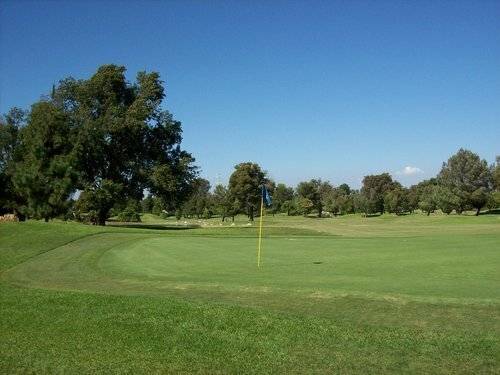 This is also a course that does seem to be popular amongst some of the Los Angeles County-based regulars on Greenskeeper.org. 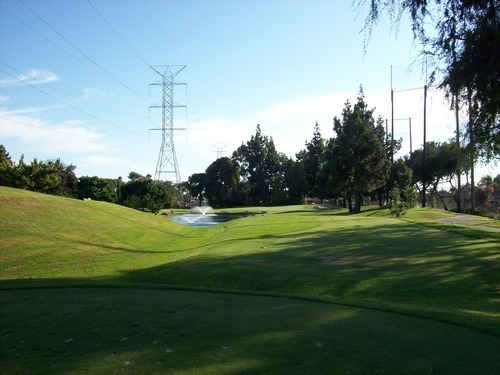 After playing Rio Hondo, I would tend to agree this course is among the better ones LA County has to offer (at least in terms of the more “local” city- or county-owned courses). That’s not saying too much because most of them are overcrowded and slightly overpriced on weekends, and most of the layouts aren’t anything terribly exciting. 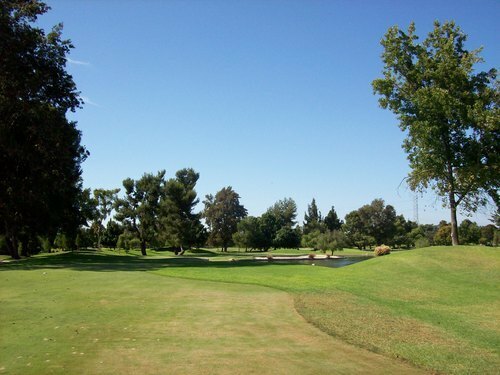 Rio Hondo does offer a pretty fun layout with a good amount of challenge. 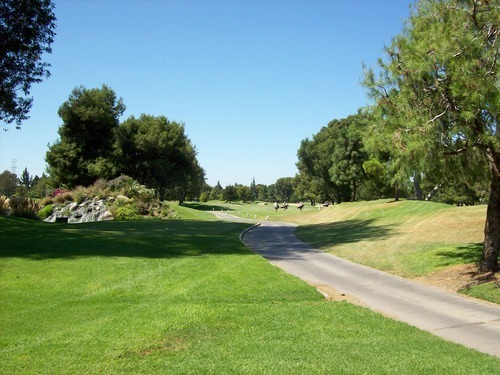 Most of the holes are pretty tight with trees (or OB fences) lining the fairways and forcing you to be accurate off the tees. The greens aren’t protected too much, so there are still plenty of scoring opportunities if you have a clear approach angle. 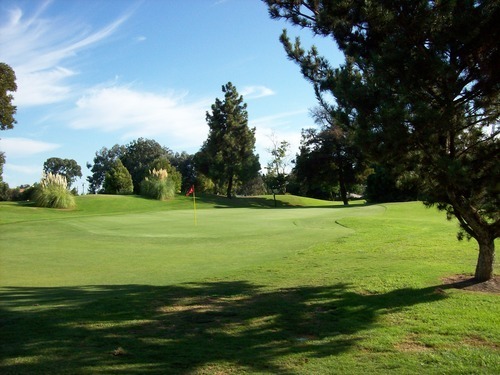 There are a handful of holes with water in play, but mostly it’s the trees you have to avoid out here. The holes are all tightly packed on the property, so there’s plenty of stray balls to watch for coming from other holes. 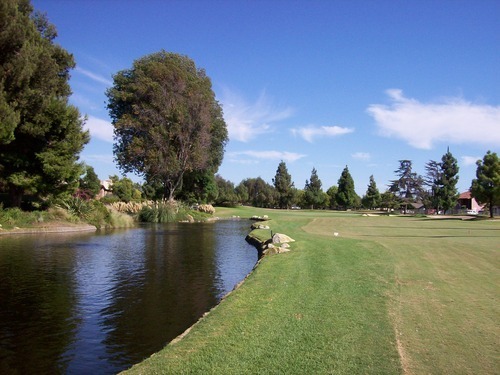 Even though it’s only 6,300 yards from the blues, Rio Hondo plays longer than the scorecard. All but three of the par-4 holes are over 400 and three of the five par-3 holes are over 190 (including one over 230). 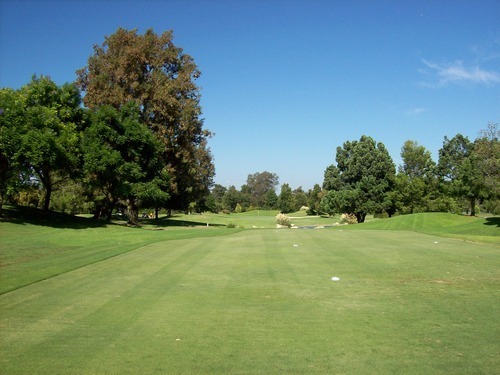 The par-5 holes are all relatively short and good birdie opportunities for you longer hitters. 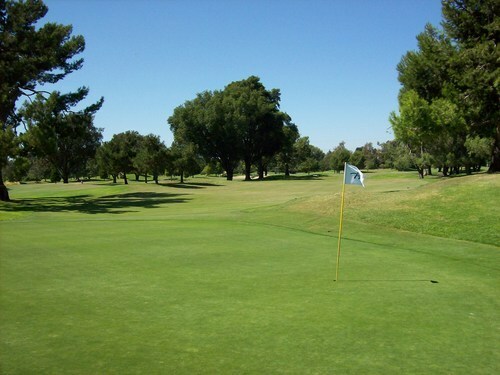 The course was in average shape for this time of year. The tee boxes were nice and level. 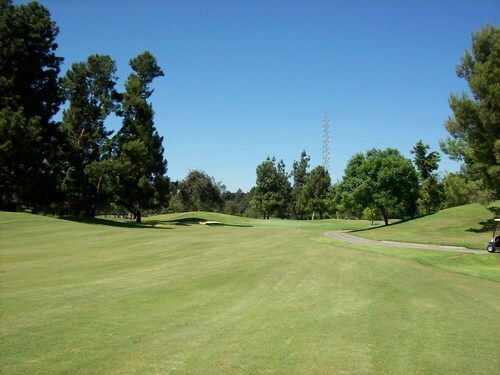 The fairways were a bit dried out with plenty of brown, but still nice to hit from. The rough was pretty lush, but not too deep or punishing. The greens were a bit chewed up. There were a lot of unrepaired ball marks and they were pretty bumpy that late in the afternoon. They were soft and receptive on approaches, but sneakily fast on putts. The bumpiness definitely threw a few putts off course for me today, though. I was in a couple of bunkers and those were good. I was paired with another single and we teed off a little behind our time. We were stuck behind a steady stream of foursomes and threesomes, so the pace seemed a lot slower than it actually was because we were waiting on every shot. 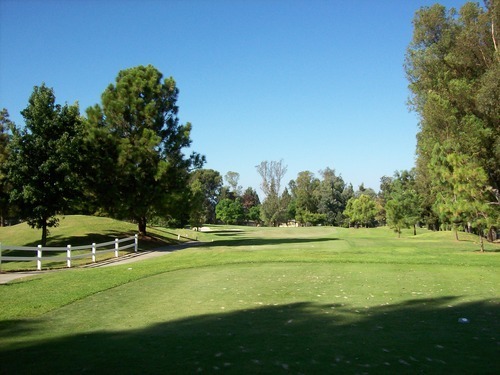 However, the whole round took only about 4:15, which isn’t too shabby on an LA County course on a nice, sunny Friday afternoon. 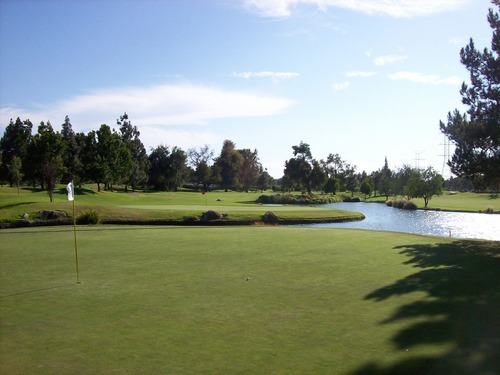 For $32 and the pace we played, this visit to Rio Hondo was well worth it. I wouldn’t, however, be in any rush to pay full rack rate here or to play it on a crowded weekend morning.